Ready to get started with the HEROPLUS℠ program? 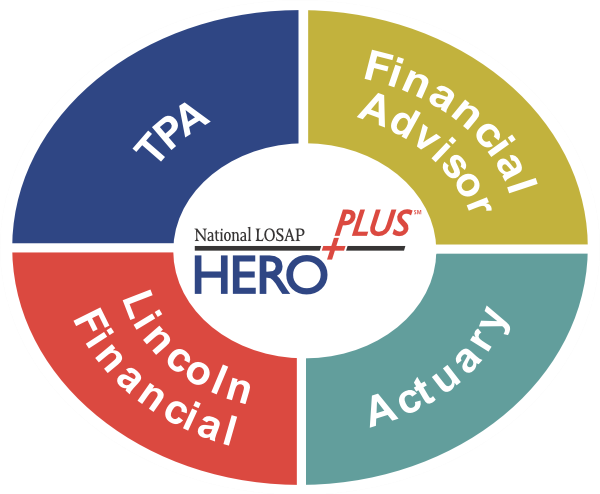 As your partner, the HEROPLUS℠ program makes it easy for you and your financial professional to work with Lincoln Financial, a Third Party Administrator (TPA) and an Actuary as needed to create a LOSAP program that is tailored to meet your needs. Our turnkey approach helps to ensure a seamless transition to a customized HEROPLUS℠ program that will help you recruit, retain and reward your volunteers with confidence. Simply contact your financial services professional who will assist you in bringing the many advantages of the HEROPLUS℠ program to your organization.